People who only know me from my writing are sometimes surprised to hear I am not a native speaker of English. I wasn’t born knowing this language but only acquired it as a teenager. Even so, I still manage to get published on big sites such as the Huffington Post or Scary Mommy. I also put together “Dutched Up!”, an anthology about expat life in the Netherlands. When I wrote my post about getting published on big sites, someone very kindly wrote this comment: “as a non-native (speaker), I feel additional fear of rejection.” And he is right. I know almost all writers struggle with confidence issues, but if you’re not a native speaker of a language, you have an additional thing to worry about, namely “Is my English good enough?” But I can assure you that it is indeed possible to get published as a non-native English speaker if you’re willing to work hard. If you’re unsure whether your writing is good enough, start small. Write guest posts for bloggers you’re friends with and see how well your posts are doing. It will help you get used to writing for others, give you valuable feedback and give you the confidence needed to submit to bigger sites. I can’t stress this enough. Read everything you can get your hands on. Think about the words you see on the pages. Why did the writer use this word? What exactly does it mean? Check the precise meaning of words. For example, “hungry” and “starving” are synonyms but their meanings are slightly different. Think about the style: how does this writer write and why? Don’t just read. Read and think and apply what you’ve learned to your writing. 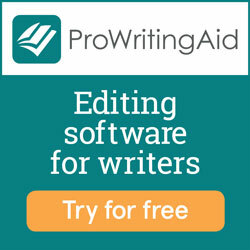 All writers need help with editing; finding typos and advice on style, but if English isn’t your native language, you may also need some support with the question “Is this English?” Sometimes people write things that are grammatically correct, but no native speaker would say it like that, or the phrase they use is totally out of date. Therefore, you need someone who will point out such mistakes and suggest something that would sound more natural. 5. Work hard and be persistent! While you should be proud of your knowledge of language, be aware that finding your voice in English and developing solid writing skills takes time. The only answer to this is to work hard. Read. Write. Write some more. ProBlogger published a useful article called 7 Golden Rules: Blogging in English for Non-Native Speakers, however, it has one huge flaw: it assumes that there is a point where you speak the language perfectly- and that only native speakers can reach it. The truth is that even people born and raised in the US, for example, make mistakes in their own language, and someone who speaks English with an accent can learn to write really well. As with all things perfection doesn’t exist, so simply focus on continuously improving your writing instead. And then, when you feel you’re ready (or even when you’re not), overcome your rejection paralysis and submit!